Within close proximity to the recently announced jimmy buffett inspired latitude margaritaville community. 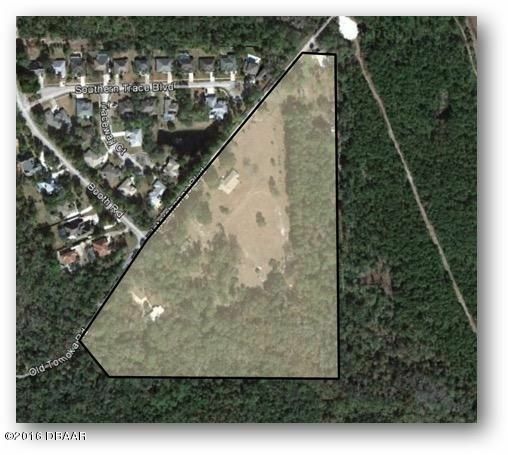 4 parcels offer ~22 acres just off sr40 and easy access to i-95. Access via either interchange blvd or lighted intersection at booth rd. Four houses included in sale. Volusia county zoning a-3(1), r-2, rr(1), rcsales includes parcels 36-14-31-00-00-0020, 36-14-31-00-00-0021, 36-14-31-00-00-0023, and 36-14-00-00-0024. For more information or make an appointment to see property ID 1027309.